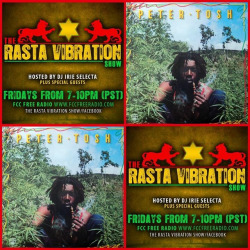 Be sure to tune inn to The Rasta Vibration Show tonight! We have a pair of tickets to see Chronixx in Oakland Sunday night, We will also play tracks off of Ziggy Marley’s album Fly Rasta and we got bunch of reggae music to play.. 7-10pm is the time and www.fccfreeradio.com Studio 1A is the place!!! 1 Response to "Get Those Spliffs Ready!!!" What the hell is a sliff?